Mega Power Star Ram Charan’s ‘Racha’ took solid openings at the Box Office and this commercial has increased the expectations tremendously on his upcoming project. Noted director V.V.Vinayak is handling this new film which has not yet been named.The movie has Kajal Aggarwal as the heroine. 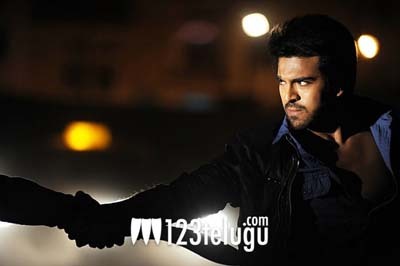 Vinayak is reportedly taking a lot of care to come up with a highly entertaining movie and Charan’s character has been treated quite interestingly. Kajal is teaming up with Charan for the first time after the super successful Magadheera.